Roulette is considered one of the most popular casino games, as there are various betting options, huge rewards, and players, get to choose their own risk factor and achieve winnings accordingly. The game has been around for many years and actually started in France with a variation we know as French Roulette today. In later years, the game spread the other regions of Europe, but some rules were changed, which is where European Roulette came from. Not many years after that, the Americans also created their own variant, which once again included its own rules and became known as American Roulette. Each of these games provides their own advantages and disadvantages, which is why all 3 of these games are still available. However, most casinos provide European Roulette and some have also added American Roulette. However, French Roulette can be found in French casinos or at online casinos as developers choose to offer as many game options to players as possible. To play, Roulette all you need to know are the payouts and game limits. Once you understand how the payouts work, you will also know the various bet options the game has to offer. Roulette includes the most betting options, and players are not limited to where they can place the bet or how many bets can be placed. Some casinos have limited their tables and require higher bet amounts for even money bets while also having a limit on how much can be wagered at a time. This has been done to ensure players are unable to use progressive betting systems. However, online casinos have turned this around and allow players to wager as much as they like as some limits range well into the 6-figure range while also offering low bets from just $1. This has made the online variant very popular, especially with live dealer games. To apply a betting strategy to the game, you would need to understand the basics of Roulette and see how the game works. The idea is to cover as many bets as possible but also to leave a few numbers open to provide a profit. Should you place a bet on all the numbers, including zero, the round will result in a win each time, but you would actually be making a loss as the payout for a single number is 35:1 and there are 36 numbers plus zero. This means you would be losing 2 chips with each round. In other words, to make a profit, you would need to leave open at least 3 numbers if you choose to cover zero. This will provide a 1 chip profit, but your risk would still be huge as 34 chips would be lost if the ball lands on one of those 3 numbers. Therefore, strategies of all types have been created as they either include more chips on the table to cover more numbers, or fewer chips are used, but bigger profits can be achieved. In this article, we will look at all the different bet options, reward opportunities, and strategies that can be applied to the game. There are many options to choose from, which is why we recommend starting small as a new player and using even money bets. There are many free online games, which can also be enjoyed at the casino that provides a fair gaming experience as the same payout rates are featured. Roulette has a lot fewer rules than most people think as the game is straightforward and provides great opportunities for players to take advantage of. Casinos simply limit your betting by applying bet limits to the game. However, too many limits will discourage players, which isn’t what the casino wants either. Most land-based casinos have increased their minimum bet values on even money winnings, which makes it more difficult to play a progressive game as bet amounts are much higher. You will also find the table maximum bet amount has been reduced, which once again stops the possibility of playing a progressive game as the players don’t have the option to multiple the wager amount multiple times. However, as mentioned above, online casinos have expanded their limits, allowing players to achieve huge bet values and also choose minimum bet for any number or bet option. This opens the world of strategies again, making it a lot more popular and enjoyable. The differences between European Roulette and French Roulette is the fact that French Roulette has all its options in French. Both games include a single zero table, which provides a total house edge of 2.70%. European Roulette has become more popular at all casinos as it provides English options while offering the same advantages of the French game. 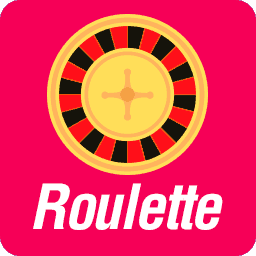 Players will find European Roulette is offered all over the world, including France and America. The differences among American and European Roulette are much greater as the Americans have created a variation with a much bigger house edge, making it more difficult for players to obtain winnings. This has been done by adding a double zero and leaving the payouts as found with European Roulette. The additional zero takes the house edge up to an incredible 5.26%. Therefore, American Roulette is mostly only found in America and a few other casinos around the world. However, those who know Roulette well, always choose the European variation as it provides a betting winning opportunity. All 3 of these Roulette games provide the same betting options. However, obviously, with the American version, you will be able to place an additional chip on the second zero or split the zeros by placing a chip on the line between them for a lower payout. All the games feature all the betting options mentioned above, but also include different limits and minimum bets, which has a lot to do with the casino or online developer. As mentioned above, there are 3 main types of Roulette, which includes French, American, and European Roulette. To explain the payouts and betting options, we will use the European version. The other 2 games are very similar in betting options, but French include fewer bets and American simply includes the double zero. However, we will go into more detail about these games as well. In European Roulette, you can place a chip in various positions on the inside of the table (where the numbers are) or on the outside (covers multiple numbers with a single bet). Some games also provide a side bet, which is known as a racetrack. Bets on this option over 5 bets in total we well as series. However, as a beginner, we recommend wagering on the main table only. Straight Numbers – Straight numbers offer the highest payout, which is 35:1 plus your winning chip, meaning you will receive back your bet placed and another 35 chips of the same value. To place this bet, you need to choose 1 or more numbers and place a chip in the center of the block. To win, the ball must fall on that number(s). Split Numbers – Split Numbers provides a winning of 17:1 and also includes your winning chip. This bet in placed on the line between 2 numbers, which covers both numbers. If preferred, multiple chips can be used between as many numbers as you want. Three Line – Three line bets are chips played along the left-hand side of the table. This means you place a chip to correspond with the row of 3 numbers you would like to cover. This pays 11:1 along with your winning bet. Corner Numbers – Corners refers to a bet placed on the cross between 4 numbers. This bet will reward should any of those numbers be selected by the wheel. The payout is 8:1 and includes your winning chip. Six Line – Six line is exactly the same as three line, but instead of placing the chip in the center of the row, you would place the chip on the line between 2 rows. However, the chip still needs to remain on the far left of the rows covered. This would mean you are covering 6 numbers, which provides a winning of 5:1 plus your winning bet. Column Bets – At the bottom of the table, you will find 3 blocks that include “2to1”. These are bets that cover the entire column. These offer winnings of 2:1 plus your winning wager. Dozen Bets – Dozen bets are the first of the outside bets. These run alongside where your row bets would go and include 1st, 2nd, and 3rd 12. Placing this bet allows you to cover 12 numbers at a time with a payout of 2:1. Low and High – Low and High bets are seen behind the dozen bets and include 1 – 18 and 19 – 36. The information in the block tells you about the numbers they cover. Players will receive even money for these winnings, which is 1:1 plus your winning bet. Even and Odd – Even and Odd bets are easy to see as they appear on the inside of high as low bets. A bet on either of these simply covers the even and odd numbers with a reward of 1:1 with your winning stake. Red and Black – Red and Black are situated in the centre of the other even money bets and will simply cover the colors as seen on the table. This also provides an even money winning opportunity. How that you know about the various bet options, you will find the rest of the game is easy to figure out. All you need to do is take your chips and place them on the positions or numbers of the table you think will appear with the next spin. If you place multiple chips on the table and one of them results in a win, you will still lose all the other bets placed and only be rewarded for the winning number. This is why it’s important to work out your betting options and how you place your chips. Many new players make the mistake of mixing the betting options, which results in confusion and usually a loss in the long run. For example, if you decide to place a chip on straight numbers, do not mix the bet with others such as corner bets or outside bets as these have different winning values and will result in fewer payouts. If you are unable to cover the numbers you desire with the number of chips you have, choose a different betting option such as line bets, corner bets, street, or any other bet that covers multiple numbers. This will still allow you to cover the numbers you want and many others, which increases your opportunity to win, even though the payouts are less. One of the most important rules in Roulette is that a small win is better than no win at all. If you have played the game for a while and find yourself struggling to keep your profits up, it might be because you are not covering enough numbers or because you are chasing numbers, which means you change the bet too often. Roulette requires patience with a bet, meaning if you lose the first round, don’t change your bet as chances are the next round would have resulted in a win. Roulette will require a lot of practice, especially if you are interested in working out the best possible rewards for the game. All betting strategies and systems tell you how to bet and that you need to leave the bet there, even if you lose, which is once again a lot easier online as it provides a re-bet button. In land-based casinos, you would need to replace the bets over and over as the dealer would clear the table after each round. Should you still struggle to find the perfect bet opportunity for your Roulette game, try to apply one of the strategies mentioned below. There are many systems available, which have been carefully calculated to either include bigger winnings and higher risk or lower winnings and less risk. Players are also able to modify the strategies to achieve the results required. Basic strategies for Roulette provide many options to choose from. However, players will find these bet options get a bit boarding after a while, which is why professional players combine strategies to achieve better winnings and see their plans work out. However, don’t jump the gun and modify your strategy without testing if first, and if you make any changes, be sure to only change small things before putting it to the test again. Many systems seem flawless on paper, but simply provide no benefit in the game itself. To give players more options, we have included 2 strategies that won’t take long to understand and provide a range of impressive results without having to have a large account balance. With these strategies, you will already see a few modification opportunities after a few rounds, but we recommend holding off on making any changes and rather applying an advanced strategy to your game. Be sure to take your time and see where the benefits and disadvantages are of the strategy you’ve selected. Even money bets provide various benefits for new players as you only need to place one chip at a time to cover half the table. This is the higher risk option of the 2 basic betting options offered. However, it will still give you a great benefit when it comes to winning. Simply place a chip on either of the even money bet options, which includes high or low, red or black, and even or odd. This gives you a 50% chance of winnings, which is not very high and the reason players choose to play bigger values on these bets and also apply a progressive betting system. The important part to remember about even money bets is that you need to stick with the bet you’ve selected and do not chase the winning numbers as they will eventually come to the bet you’ve selected. However, 50% winning chance is not enough as it could just as easily result in constant losses as it does winnings, meaning you would either win a little, break even or lose while wasting a lot of time at the table. Therefore, we recommend adding a progressive system to this betting method. Start with the lowest bet value and placing it on the even money bet of your choice. For example, we would assume you’ve placed the chip on red and no other bet options on the table. We will also assume you’ve placed the minimum bet of let’s say $1. Now if you win, you will receive back your $1 and you will receive another $1. To use the system, you would pocket your $1 profit and once again place the other $1 back on red. However, if you lose the bet, instead of placing $1 again, you would place $2 on red, which generates $4 in winnings if you win. This will cover your $1 loss from the round before as well as the $2 placed in this round, and also $1 extra for profit. The reason you need to remain on the same bet is because it’s impossible for the table to keep presenting only black numbers as only 50% of the table is black, and the other half is red. If you think about it, what are the chances of 10 black numbers appearing consecutively, or even 5. However, it is possible for you to lose 10 times in a row if you keep switching between red and black on a regular basis, which means you would be losing out on winnings simply because you’ve changed your bet. Players are required to have the best for at least 8 progressive moves ($1, $2, $4, $8, $16, $32, $64, $128), which is still very unlikely ever to happen, but any amount lower than this could result in you running out of cash before your winning amount comes up. To cover the best mentioned above, you would need to enter the casino with around $300, which will allow you to place all those bets, obtain back your winnings, and make a profit. Another very important rule is that you need to stick to the betting values. If you decrease the wager amount once or restart the betting process while progressing, it will result in a loss, which is usually a lot bigger than you think. Double dozen bets are also easy to use and provide a lot of advantages. Players will find this is a low-risk betting method that covers more than 66% of the table and doesn’t require any progressive betting systems to provide results as the odds of winning are tilted in your direction. Place a bet on 1st and 2nd 12 to cover all the best from 1 to 24. This will not produce huge winnings and still includes a risk factor. However, with each bet placed and won, you will receive 2 coins in winnings and the winning clip back, meaning a total of 3 chips are returned from a 2 chip bet. Players will be able to apply a progressive system to this betting option but will need to be careful as double the bet will be needed. Players have also been known to modify the progressive betting strategy with this system to increase their winnings as the low-risk aspect does not include big winnings. This means if you placed a bet of $1 on 1st 12 and another $1 on 2nd 12, you would need to double to $2 on each bet with the regular betting system. However, if you increase the bet to $3 on each, your profits would be higher and still carry a lower risk. This system requires higher than double bets as you are placing 2 bets at a time and winning 2:1. This means if you simply double up, you will not cover your losses. For example, if you bet $1 on the first and second 12, you will wager $2, of which you can win $3. However, if you lose, you would double up to $2 on each bet, putting you in for a total of $6 ($2 from the first bet, and $4 in the second round). A $2 bet on these options only provide winnings of $6 (2:1 and the winning bet), which means you would have risked cash, but not won anything. However, if you double up to $3, your total risk would be $8 ($2 from the first round and $6 for the second Round). A $3 bet would provide winnings of $9, giving a $1 profit along with all the losses. This betting system is perfect for anything wanting to experiment with the bet values and work out their own way to hit huge amounts. There are a few advanced strategies that provide many advantages in regards to covering losses and obtaining profits. The advanced strategies are basically a more evolved version of the basic strategies, but also require higher account balances to ensure you are able to benefit from the winnings they include. There are many betting systems out there that have been created based on these strategies, but we recommend starting off with the standard system and modifying it in your own way if needed. Labouchere is a very popular betting system for casino table games and works perfectly with even money bets. The system requires a lot fewer funds than a progressive system as you are not required to double up each losing hand. To use the system, create a series of numbers in a row. First-time users would have a row of eight 1’s for example (11111111). It’s crucial to keep this row of numbers handy as you would need to update it after each round and see what your next bet amount is. Once you have a row, decide what the unit value is. Be sure to apply the same value to all the numbers, such as $1 per unit. You would then need to take the number first in line and add it to the number last in line to see your bet amount, in this example, it would be 2. Should the first-hand result in a loss, you need to add 2 to the end of the row and then once again use the first and last number, which would be 3 (after adding the 2 to the end of the row). If a series of numbers win, you would draw a line through both the numbers and more inwards to the next 2 numbers. Should you complete all the numbers without a loss, you would have doubled your money. If you lose a few hands and still complete the series, you would have still made a profit and covered your losses. More advanced players can use the system with higher numbers (53245612), which increases the bet drastically but still keeps it lower than most progressive betting systems. Other players stick to the 1’s but increase the wager amount to $2 or higher. The D’Alembert system is completely unique and provides some great advantages without increasing the bet amount to huge values by doubling up. The system is also very easy to use and can be applied by any playing ranging from new players to professionals. All you need to do is choose the amount you would like to start betting on. Be sure to choose a value a bit higher than minimum bet such as $5. Should you then win the first hand, you would decrease the bet by $1, but if you lose a hand, you would need to increase the bet by $1. This system will continue until you choose to stop. This system could reach high values as well, especially if you change the bet you’ve selected. Once again, as mentioned is basic strategies, be sure to choose an even money bet and stick to it. Forget about what stats in the game tell you as you would receive your profit and all your losses by keeping to your selected bet. If you really want to change the bet you’ve selected, do so directly after a winning hand. This will not make a difference to your winnings or put you at risk of taking on additional losses. The D’Alembert system might not provide the same amount of rewards as a progressive system, but it can also be modified to provide additional winnings. For example, you can choose to increase you bet with higher amounts, which provide bigger payouts with winning rounds. It’s also a common option to never decrease the amount after a win, but this is a risky move as it increases the wager amount to huge amounts and never decreases the wager, meaning a row of losses could force you to back off as table limits are near, or you’ve hit the limit of your funds. The other most popular betting system is the Martingale system, which is exactly the same as the progressive system explained in basic strategies. However, the Martingale system is the one that increases your bets by a massive amount and can be used on even money bets only as it would be near impossible to keep track of the bets when playing multiple numbers, not to mentioned you would hit the table limits after only a few double ups. When using a progressive system, make sure any modifications are tested on a free gaming variation to test the results. Do not even decrease the bet amount of a progressive system as this would result in a loss each time. Players can, however, include certain spots along the progression where the bet is more than just doubled, which provides additional winnings, but also a bigger risk in regards to bet values.